DowntownChico.com showcases all the great things to see and do in this friendly, young-at-heart college town. 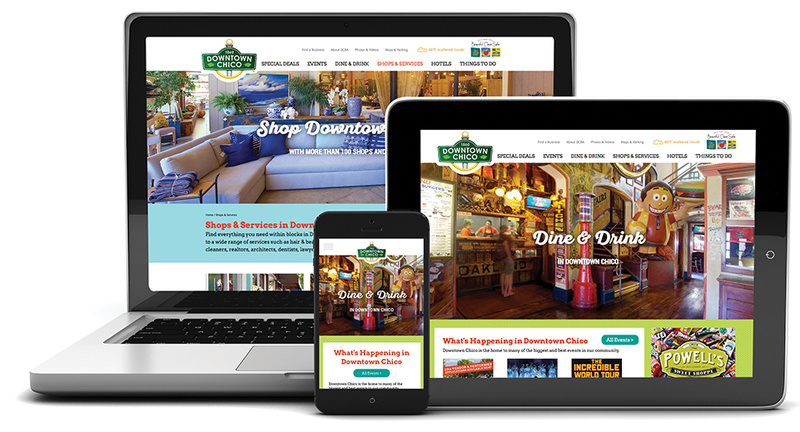 This database-driven destination website was launched in November 2015 and immediately double and tripled website traffic. In addition, the “Everyone Loves Downtown Chico” web video blew up on Facebook in January 2016 with 250,000 views in a week, and continues to grow with more than 390,000 views and 6,900 shares.